Are you struggling to get your nail polish of? Try an instant nail polish remover! Begin March I bought the magic Nail Polish Remover from Bourjois. And while I was in New York I tried the Instant Nail Polish Remover from the Sephora Collection at Sephora. 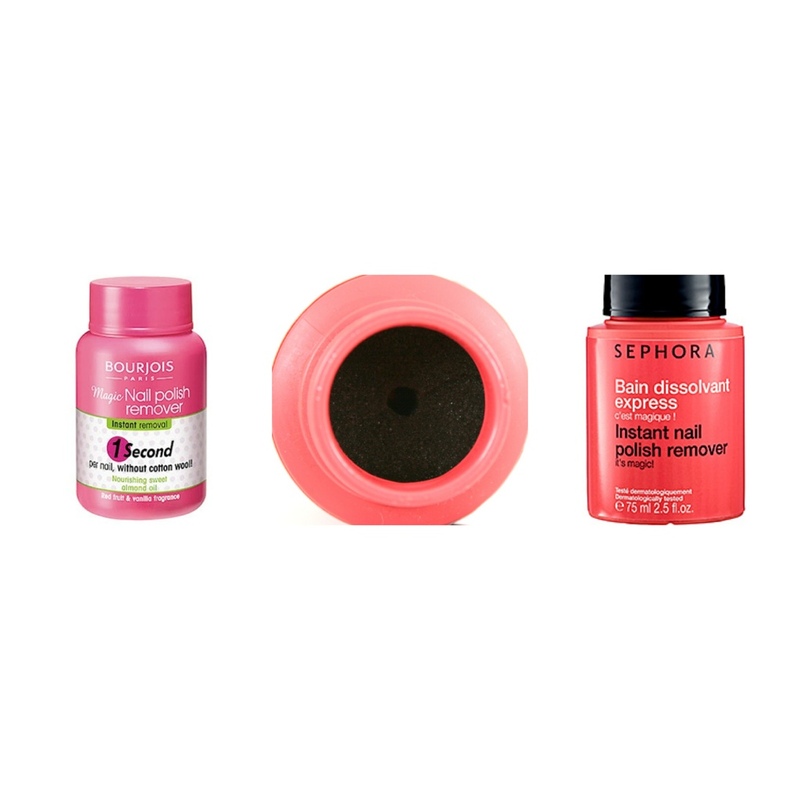 Both are products to fastly remove your nail polish. They both make use of a sponge drenched in nail polish remover. You have to put your finger in the bottle, and twist the bottle a few times and the nail polish comes right of. Even the most stubborn nail polishes are gone in a few minutes! The one from Bourjois says it only takes one second for each finger. But I think that’s a bit overstated. It takes a bit longer than one second, but it sure is a lot faster than with cotton balls and regular polish remover. It takes me around 3-5minutes to get my nail polish of, depending on the kind of polish (glitter takes a little bit longer). Another advantage of the Bourjois one, is that it doesn’t have that typical polish remover smell. It has a red fruit and vanilla fragrance. And last but not least, it doesn’t dry out your nails/skin like regular polish remover does. It is a little bit oily, so it nourishes it. The one from Sephora is based on the same concept. I only tried it once, but I was satisfied over it’s use. This entry was posted in Product review and tagged instant nail polish remover, polish remover, Product review by missnathaliexo. Bookmark the permalink.